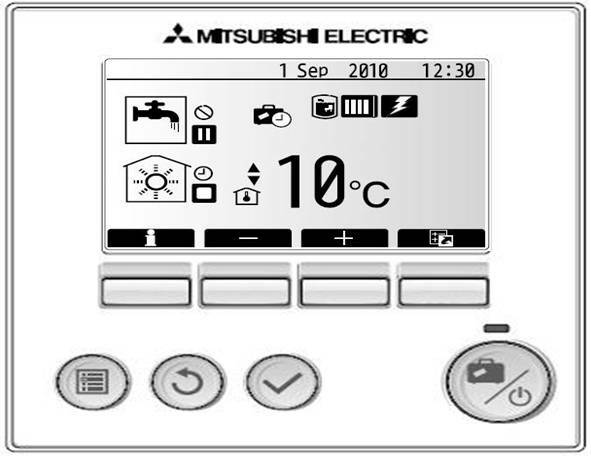 At the core of the Mitsubishi Electric Cylinder and Hydrobox products is the advanced 3rd generation controller (FTC3) which speeds up commissioning and eases operation. The FTC3 is used in conjunction with the PAR-W30MAA an easy to use, high-end graphical controller with self-learning room temperature control and different access levels for homeowner, installer and maintenance checks. The third generation controller simplifies the installation and speeds up the commissioning process for the engineer, it makes maintenance easier and gives the homeowner tremendous control over their heating and hot water system.